What a CRAZY week and weekend!!! We are finished with our state testing and school fair. Yahoo!!! This past week consisted of finishing up state testing, teaching students a dance for the fair performance, painting a picture for the fair silent auction, (see picture below), making over 50 candy apples for the sweets booth, and practicing for the teacher fair performance! Yes, I am one of 11 teachers who actually dances in front of the parents and students at the fair!!! I think the best part of dancing would be attending all practices after school!!! With state testing & the fair behind me, I can start preparing for the end of the year. I am linking up with Clutter-Free Classroom and sharing my end-of-the-year ideas. I can't believe May is right around the corner!! Where did the school year go? I still need to put together portfolios and make a power point presentation. I love making a power point from all of the pictures I take during the school year. I must admit that it takes over a week to construct because I always find a way to mess up something! It never fails that every year I make some kind of mistake!!! For the portfolios, I save the students' work all year and use sheet protectors in binders. I like to put the work in order from the first to last day for the parents. I put all work in sheet protectors. The parents appreciate the organization of the work so much because it saves them the time of doing it over the summer. Also, students complete a summer writing activity. This writing activity is my favorite one of the year. The creativity that flows from the students' brains is amazing! Students are asked to write about a summer trip they have taken already or plan on taking. After editing the rough draft, students write the final copy of the essay on sunglasses. 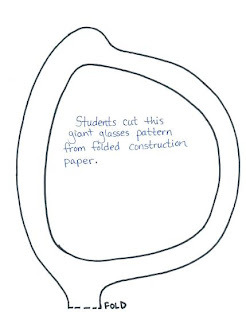 Students glue glasses on large white construction paper and draw a picture around the glasses. I was amazed the first time I did this with my class. I did not instruct them to draw a person. The end results were more than I imagined! Click (HERE) to grab your sunglasses template. What a post! 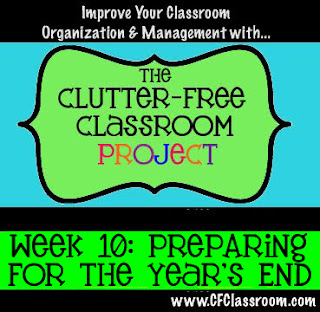 Please check out Clutter-Free Classroom Project and join the End-of-the-Year Linky Party! Your end of the year party looks great. I love the writing sunglasses. I am preparing something similar to my first graders. These are too precious! Looks like your kids have a great time! I am your newest follower! Your summer writing ROCKS! I am "pinning" you this very second! Thanks for sharing. I am your newest follower :) Pop over for a visit if you get a moment. I LOVE your summer writing idea with the sunglasses! I am going to use this with my 4th graders next week. Do you have a template for the sunglasses that you are willing to share? The sunglasses are so cute! I would also be interested in a template for the glasses if you have one!! I sent the email to you of the sunglasses. Pleae let me know if you don't receive the attachment. please send me your email and I will send you the template. Thanks for stopping by. I would love for both of you to be a follower! Just found your blog and I love it!! Can you please send me the template for the glasses as well? Thanks!! I love this!!! Would I be able to get the template for the sunglasses too! Thank you so much!!!!! I would love to send the template to anyone interested! Just show your support and become a follower of Third Grade Love! I love the sunglasses! I just found this site. Can I please have copy of the sunglasses. My email address is jess291981@gmail.com Thanks a bunch!!! This is too cute! I'm a first year teacher and was surfing pinterest for some fun end of the year writing ideas and saw your awesome sunglasses! I'm now following your blog! Thank you for checking out my blog. I sent the template to everyone who asked if you left an email. Please don't forget to become a follower of Third Grade Love. I love hearing comments! I love this idea! I think it will help get my reluctant writers motivated. If it isn't too much trouble can you email me the sunglass template as well? My kids are going to LOVE this! Can I also get an email with the template? I would appreciate it!! Enjoy the rest of the year. PLEASE! I'd love a template of the sunglasses, too! So precious! Darleen!! I love this! I shared it with my teammates this morning and we would love to do it with out second graders! Could I get an email with the template, too. I would love to have an email with the template, this looks awesome!! LOVE this idea :) I would love to have the template as well! I teach 2nd grade, so I would modify the assignment a little bit, but what a fabulous idea. LOVE this idea!! could you possibly email me the template please???? smikkelsen@crestonschools.org. Thank you!!!!! This is such a cute idea! I'd love to use it with my 5th graders for next week for an end-of-the-year activity. My email is shchildress@tipton-county.com. I absoutely love the end of year writing. Can you please send me the sunglasses template? I love your blog and also found it through pinterest. I just stumbled upon this super cute writing activity while browsing for things to do during the last week of school! Would you mind sending me the sunglasses template too? Thanks so much! I would greatly appreciate the template as well. I can't wait to do this with my second graders. HI there I would love it if you could share the template! Thanks so much! Now a follower! I would love the template as well. Thank you! Love this idea for Open House! Could you please send me the template at khermes@sanjuan.edu. Thanks! Please send me the template for the sunglasses! I loved your idea and really enjoy your blog! I love this for the end of the year! Could you email it to me as well? Found your blog on pinterest! What a great writing activity for the end of the year!!! Can you please email me the sunglasses template? Thank you so much!!!!! How cute! I also found your blog on pinterest. What a great idea and I love your set up for the parents. How cute. I would love the sunglasses template as well. Can I also have the template for the sunglasses? Thank you!! Could I have the template for these adorable sunglasses? Thank you! This is a fantastic idea! I would love you use this with my students. Could you send me the template? My email is allison.pittman1@gmail.com Thank you so much!! Love this activity!!! I would greatly appreciate a template if you don't mind emailing it to me. I'd love a copy of the template to use with my 4th graders. I was already planning a "When I graduate high school..." assignment and the sunglasses would be a great addition! Very creative! I would love the template, please send to miabean24@yahoo.com! Thanks! Super cute! Would love a copy of sunglasses template! Please send to jessicastricker@gmail.com. I would LOVE to get my hands on your sunglasses template! This is awesome! What a GREAT job:) I would too LOVE a copy of the template you used! Hi, I love your blog!! I would love the sunglass template too please! Thank you!! Hi, I love this idea! Would you mind sharing the template with me? I'm a new follower! I'd love the sunglasses template if you have time! Thanks! I love love love this idea and I am going to do it with our buddy class this week! it is such a wonderful idea! Would you please be able to share the template with me? I am be very grateful!! This is so great! Can you please send me the template too? My email is lauraccj@gmail.com! Thanks!!! I would love to have your sunglasses template too! I LOVE this! Looking forward to reading more of your posts! Thank you!! I love this idea, I am tutoring this summer and this would be a fun end of summer activity. I know everyone has asked for a template, but would you mind sending 1 more. I love this writing activity. I teach writing and would love to do this as a welcome back to school activity. Could you please send me the template as well? Thank you, and I love the reading your blog! Very cute idea! I am going to do this for my back to school writing sample - what they did over the summer. Can you send me the template for the sunglasses? LOVE this activity. Would you PLEASE send me the template? This is super cute and I'm going to do it with my 5th graders for back to school. Could you please send me the template! Thanks so much!! I love this idea. Would you please send me the sunglasses template? Thank you. Lovely idea! I might just jump on the bandwagon and ask for a copy of the template too. Hi- just came across your sight on Pinterest also. Love the idea and I would love to do it with my students at the end of this year. If you are still sharing the template for the glasses, I would love a copy. My email is laketiawheeler@hotmail.com. LOVE this idea!! I see the template for the right side of the sunglasses, but what about the left? Am I missing something?? haha thank you! What a darling idea! I love it and am going to try it with my third graders. I would love the template also, if you don't mind. Thanks so much!! I too would like the template. Deannaowen@ymail.com is my email. Just became a follower! Thank you so much for the sunglasses! Very cute idea. I want to use it for a back to school board. I would love the sunglasses template too! I will like to use it for back to school as well. Can you please send me the template too. I would love the sunglasses template! Thank you in advance!!! Love, love, love this idea! At your convenience, please email the sunglasses template. Thank you! Do you have the sunglasses template on tpt? or somewhere I can get it? the link on the sight doesn't work for me :( I would really love it! My email is atbutterfly7@gmail.com Thank you! Please send me the sunglasses template. I would love to do this with my class. I would like the sunglasses template with lines for writing. Thank you so much! This is a brilliant idea! Could you send me the template as well? 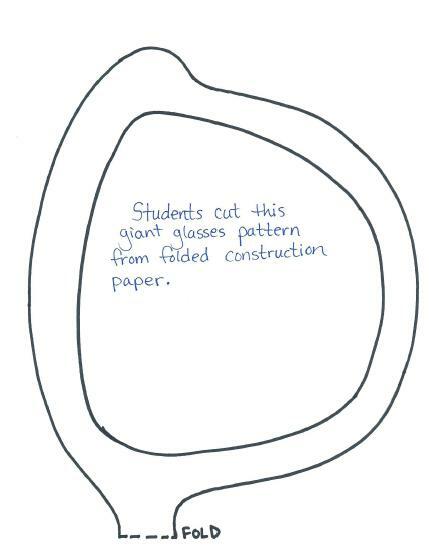 i'd like to do this activity with my students. If you want to buy womens flat top sunglasses at affordable rates, then ShadyVEU is one of the best choices you have.